Are you in the Seattle, Washington area? Are you going to be in May? Cool! 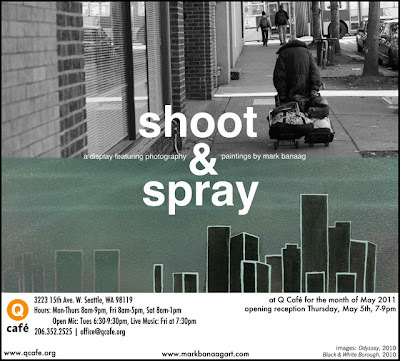 Then you must head over to Q Café for an awesome film and paint medium exhibition that starts on May 5, 2011, and it displays the latest work of Seattle artist Mark Banaag. Oh, and he's also my cousin. Check it out! And tell him I sent ya!